Sunday night will see the usual meat parade of celebrities march down the red carpet at the Dolby Theatre in Hollywood, in their excessive ball gowns and ever-so-slightly personalised tuxedoes, before giving each other gold man-shaped pats on the back for being ever so special – or so the cynics would have you believe. There are those amongst the cinephiles of this world who do feel the Academy Awards are a meaningless black hole of self-congratulation and commercialism, and they may be right in many respects. But they can’t take the fun away. For the more optimistic film fanatic, the Oscars provide the one night of the year where every person in the world (or so it seems) cares just as much about the movies as we do. Who cares if they cheapen it – at least they care! The somewhat bold decision by the Academy to have the unpredictable and untested Seth MacFarlane host could well prove a trump card or a bright red self-destruct button. At the very least the quality of lampooning should be stepped up a notch from previous years. Other events of the night differ in the levels of excitement they inspire. A tribute to 50 years of James Bond should provide a quality showreel. A tribute to Hollywood musicals of the last 10 years will surely have less life in it than the roll call of the recently departed. For a long time there this was anyone’s game. Les Misérables seemed a lock, before anyone saw how blandly it was shot. Lincoln was also an early call, which took a dip and then rose back up to the top of the charts. Zero Dark Thirty appears to have waterboarded its own Oscar hopes. Django Unchained has been greeted with bewildering raves from critics and audiences, but it is surely a little eccentric and excessive to warrant a win. Life of Pi and Silver Linings Playbook, both fine films warmly received, seem to have been pushed out by their more realistic and historically themed peers. 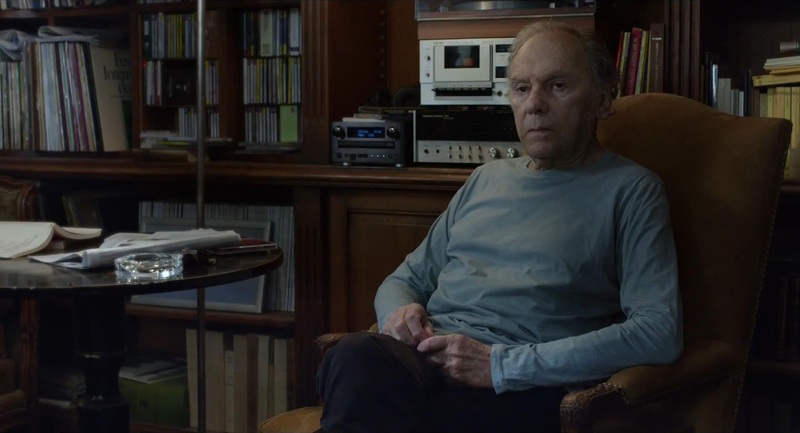 Amour is the token nod to a master filmmaker, which is all-but-assured the Foreign Language Oscar. Beasts of the Southern Wild feels like a similar nod to a newly shining star in Benh Zeitlin, but don’t count it out completely – it’s been a huge hit with critics and would tickle the liberal hearts of Academy voters. But realistically if anything is going to give Lincoln a run for its money it’s Argo. Ben Affleck’s light espionage drama has crept back into pole position after waltzing home with pretty much every best picture (or equivalent) award at every awards show thus far. Despite Affleck not being nominated for Best Director, it is unwise to count Argo out – with no best picture/director split since 2005, the Academy is well overdue such a discrepancy, although it would be the first film to win Best Picture with a directorial nod since Driving Miss Daisy in 1989. Evidently, stranger things have happened. This seems an easier one to bite, what with Lincoln one of the top two Best Picture contenders. 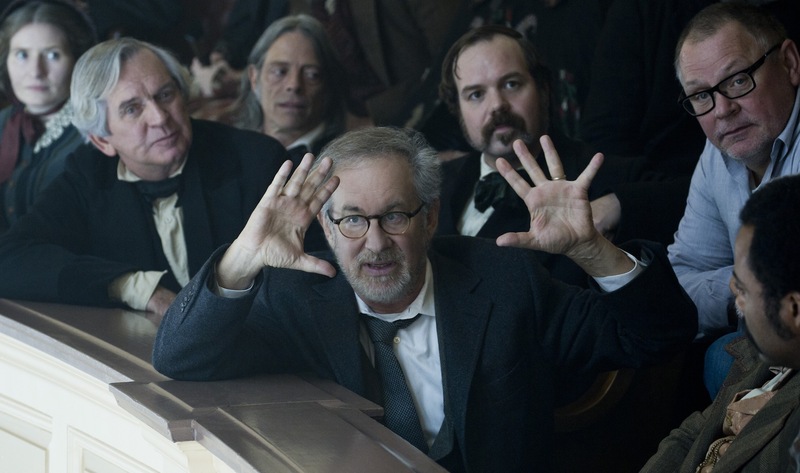 Steven Spielberg has already a Best Director statue without a Best Picture twin, for Saving Private Ryan, and his work on Lincoln is more than deserving. 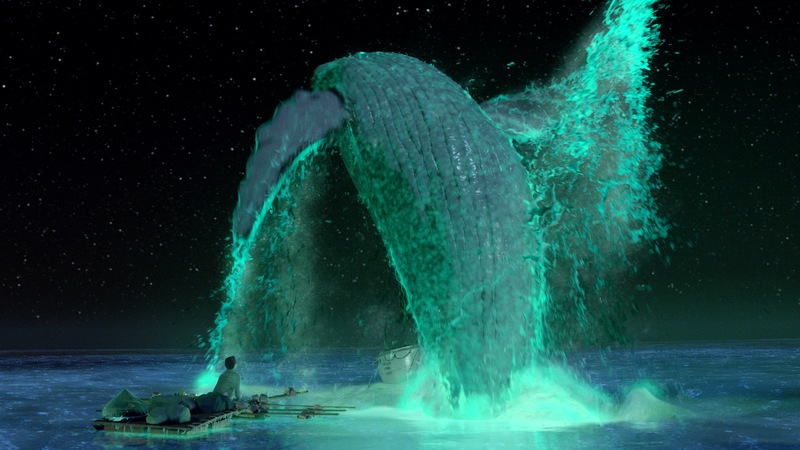 But so does Ang Lee, for Brokeback Mountain, and Life of Pi is assuredly the work of full-blooded auteur. David O. Russell seems an unlikely candidate, if only for the scale of his film, and that goes double for Michael Haneke. A Benh Zeitlin win would be a coup and a half. He should be very proud just to be there. I won’t insult your intelligence by writing anything here. Other nominees include Bradley Cooper (Silver Linings Playbook), Joaquin Phoenix (The Master), Hugh Jackman (Les Mis) and Denzel Washington (Flight). Now here’s a proper contest. So much to play for. Jennifer Lawrence (Silver Linings Playbook) and Jessica Chastain (Zero Dark Thirty) are fighting to be crowned the new Queen of Hollywood. Quvenzhané Wallis (Beasts of the Southern Wild) is fighting to be the new Princess. Emmanuelle Riva (Amour) is fighting for one last great honour. Naomi Watts (The Impossible) is fighting to stay in movies and not be condemned to television. The tide against Zero Dark Thirty seems to be squeezing Chastain’s hopes, and she will no doubt be back for more in the years to come. Lawrence is here a second time, and seems the likely winner. Riva and Wallis would both be record holders, oldest and youngest winners respectively. With a performance as strong as she gave in Silver Linings however, the same year her Hunger Games was such a surprise hit, Lawrence seems the best bet. Coming out of the Golden Globes, Christoph Waltz has momentum behind him, but his character Dr. King Schultz, the highlight of Django Unchained, is perhaps a little too similar to Hans Landa, the character who previously won him this award for Inglourious Basterds. 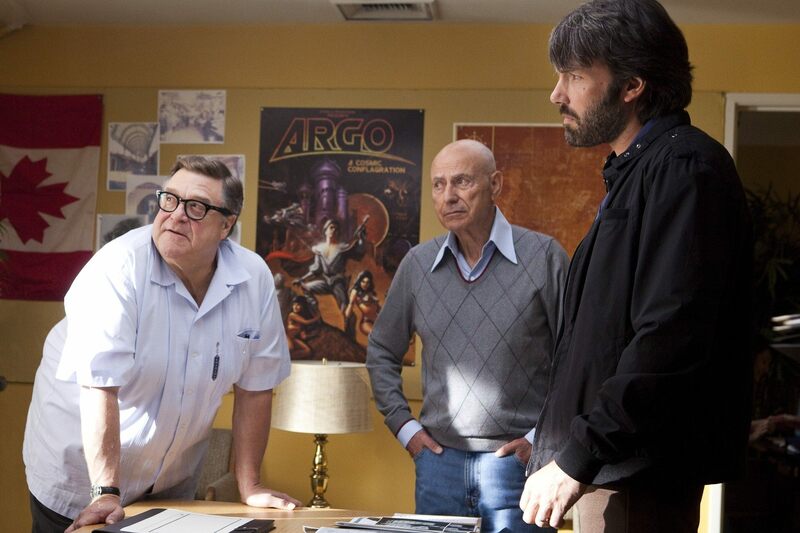 Alan Arkin already has his tokenistic Best Supporting award for Little Miss Sunshine, so he seems an ill-fit. Robert De Niro (Silver Linings Playbook) gave his finest performance in over a decade, but it was hardly the finest supporting performance of the year. The disdain the Academy has shown for Paul Thomas Anderson’s The Master will work against Philip Seymour Hoffman. 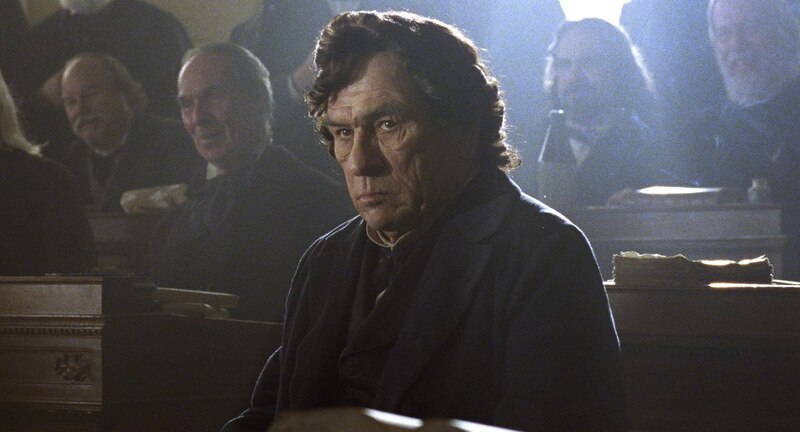 This one has to go to Lincoln’s Tommy Lee Jones. There was a lot of talk early on about Sally Field’s performance in Lincoln making her a likely winner, but the performances of Day-Lewis and Jones (and Spader!) have undermined her hopes considerably. Amy Adams gave a chilling performance in The Master, but it is perhaps too dark (and complex) for the Academy’s tastes. Helen Hunt (The Sessions) is surely just delighted to back in the A-list. Jacki Weaver was definitely in Silver Linings Playbook, but I don’t remember a lot else about her performance. 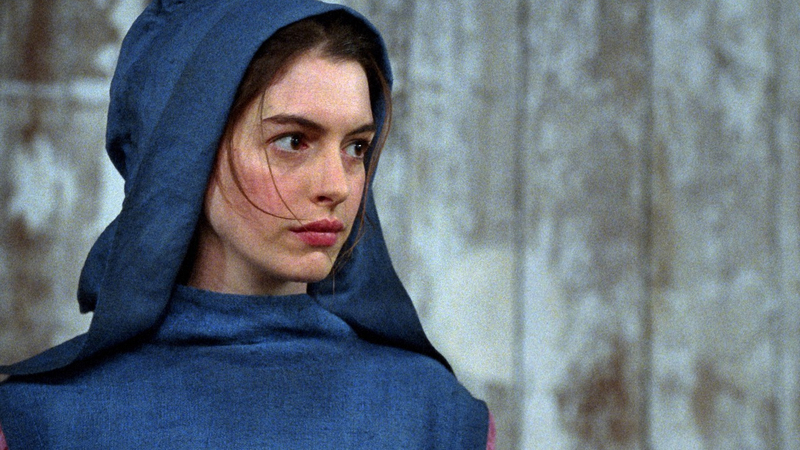 No, this is as assuredly Anne Hathaway’s win as anything could be. If Les Mis didn’t convince you of that, surely this video will. Tarantino has already taken a few trophies for his Django Unchained script, a fact which continues to baffle me. Mark Boal will no doubt suffer the Zero Dark Thirty backlash. John Gatins (Flight) and Wes Anderson and Roman Coppola (Moonrise Kingdom) seem like seat fillers, but count neither out just yet, especially the latter. This is the one category where Amour could really step-out of the woodwork, and not just be another Best Foreign Language Picture winner and nothing more. Here’s hoping. With so many exceptional adaptations this year, this could turn out to be the most exciting and unpredictable race of the lot. Chris Terrio (Argo), David Magee (Life of Pi) and Tony Kushner (Lincoln) have all done remarkable work in their adaptations, while David O. Russell has written a truly charming yet affecting work from Silver Linings Playbook. But in terms of transmogrifying a source material into a work of cinema, there seems no greater nominee than Lucy Alibar and Benh Zeitlin’s script for Beasts of the Southern Wild, from Alibar’s one-person play Juicy and Delicious. But who the hell knows that the Academy wants!? Usually everyone, so why is this so hard to call? Here’s another unpredictable little venture. DreamWorks’ confusing but beautiful Rise of the Guardians didn’t even make the grade, leaving an odd band of five vying for the Oscar here. Brave is decidedly a weaker entry in the Pixar canon, but it is at times breathtaking to behold. A respectful nod to the studio with a win, or a “must do better” note sent home to the parents? 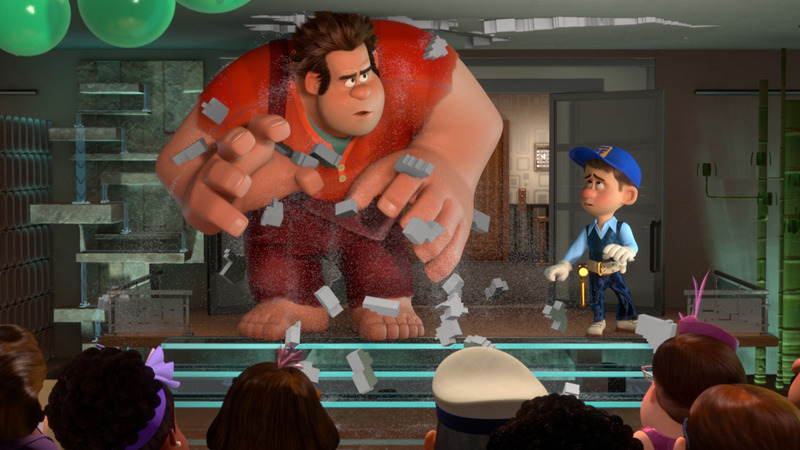 That would leave the major contenders Tim Burton’s Frankenweenie and Disney’s Wreck-It Ralph. The former has the artistry, the latter the ideas – but both suffer from weak third acts. ParaNorman could scrape in, but its poor box office makes it the most forgettable of the quintet to the untrained eye. That could leave Aardman’s superb The Pirates! In an Adventure with Scientists (I won’t be caught dead using its American title), but it has been largely overlooked in previous awards nominations. Another tough one to call, especially for one that film fans are so surprisingly passionate about. 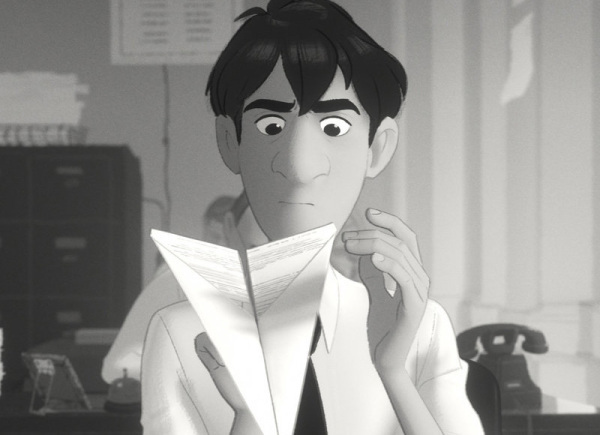 Disney’s utterly delighting Paperman goes up against the surprisingly sweet Simpsons short The Longest Daycare. Both feature playful acts of defenestration, but the former is surely the forerunner in this contest. That said, it would be nice to see PES’s remarkably inventive Fresh Guacamole win. I mean, just look at the damn thing! Due to unfortunate release schedules in these parts and unfortunate me schedules in my own life, I have not seen any of the nominees. Searching for Sugarman seems a firm bet based on word of mouth, but that’s all I can offer. This one could get interesting. Skyfall is a surprise nomination for Thomas Newman, and Dario Marianelli seems a wild card for Anna Karenina. Alexandre Desplat’s Argo score was one of the year’s better, while John Williams’s Lincoln was but a pleasant shadow of what the man used create in his prime. In terms of evoking a mood and sounding truly original, nothing should beat Mychael Danna’s Life of Pi score. Although the absence of both Beasts of the Southern Wild and Cloud Atlas from this category is definitely disconcerting. That Adele is so hot right now. Not much chance of that going any other way. 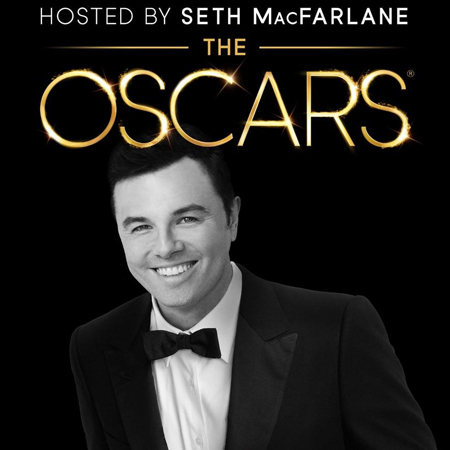 Expect the manner in which Seth MacFarlane handles his nomination in this category (for ‘Everybody Needs a Best Friend’ from Ted) to be the making or breaking of his performance on the night. But for what it’s worth I’m calling both for Life of Pi. Another potential shocker that could turn up just about anything. Certainly Anna Karenina was intriguing to behold, and Life of Pi did some remarkable things with its visuals. But bigger is surely better in these sorts of categories, so The Hobbit: An Unexpected Journey, Les Misérables and Lincoln seem the better calls. Roger Deakins has quite horrifyingly never won an Oscar, and while it would be unlikely for him to finally win for a Bond film, it isn’t impossible Skyfall could nab this one. Still, Seamus McGarvey’s luxuriant Anna Karenina and Claudio Miranda’s magisterial work on Life of Pi are almost too much for Deakins to counter. Janusz Kamiński’s bright yet dreary Lincoln looks real and beautiful, but is perhaps too drab for Academy tastes. Robert Richardson’s work on Django is more than anything what creates that film’s style, but away from its frankly gorgeous exteriors, it has not much to offer. Another tough one to call. Oh right, this is still an award. 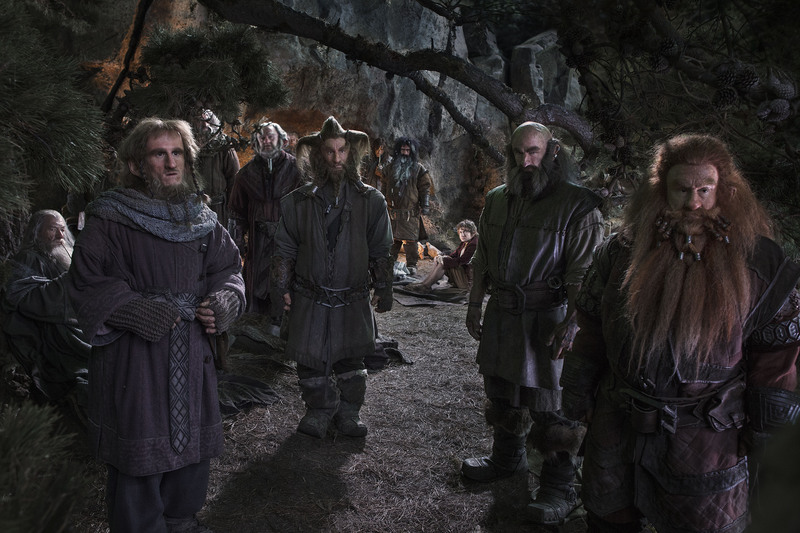 Um… The Hobbit? Actually, going by traditional winners Hitchcock will probably nab this. But no, I’m saying The Hobbit. If only for making Christopher Lee look in his 60s (he’s 90!). 2012 was the year of not one but two dreadful Snow White films, but both deserve a bit of credit for the costume work, and here that credit is. The late Eiko Ishioka could well receive a posthumous Oscar for her work on Mirror Mirror, but the film was so frankly despised it seems improbable. Snow White and the Huntsman seems even less likely a winner. 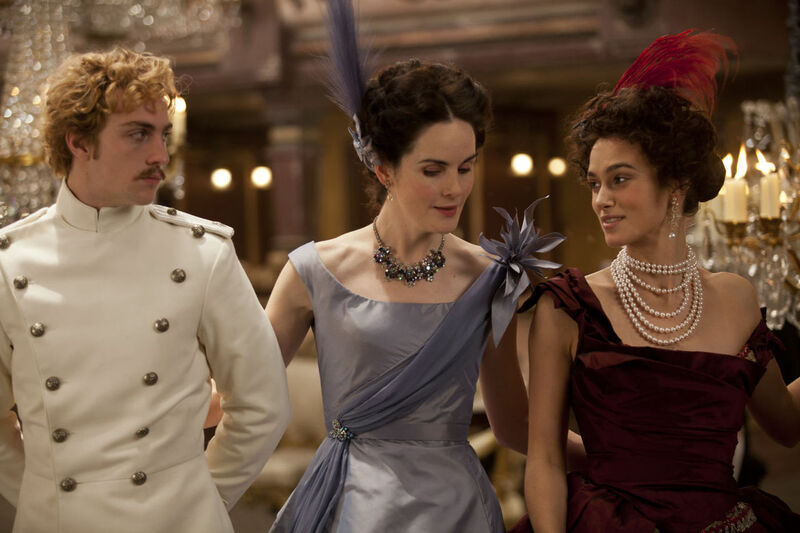 With Les Mis vying for a top spot with Lincoln in terms of historical realism, the eye-melting costume work of Anna Karenina, by Jacqueline Durran, has a very good shot at stealing the title, especially if diamonds can count as costuming. There were no standout examples of editing nominated this year, and thinking back on 2012 it’s hard to think of anything exceptional that has been cut from the list, either. Zero Dark Thirty was the real disappointment, after the phenomenal editing Kathryn Bigelow’s The Hurt Locker displayed. Lincoln and Silver Linings Playbook were both edited efficiently but without flair. While Tim Squyres tied Life of Pi together beautifully, the energy created by William Goldernberg’s editing of the opening 10 minutes of Argo more than makes him deserving of the award. Snow White and the Huntsman gets another nod here, and will go home empty-handed and undeserving. The Avengers and Prometheus will cancel one another out, leaving this a battle of scale versus creativity. The Hobbit: An Unexpected Journey could win out through sheer force of everything, but it seems unlikely to beat Life of Pi’s controlled, fluid and never utterly in-your-face world building. All the orcish hordes of Middle Earth can’t compete against the colossal might of a leaping whale. And that’s the lot of them. How right I’ve been we’ll see on Sunday night. It’s the predictability of the Oscars that makes the upsets all the more shocking, and entertaining, so with any luck, for my sake at least, I’ve been very, very wrong. If all goes to plan I’ll be live-blogging the event, so be sure to check back here, or follow my Twitter feed. It’s gonna be a long, fun night. Well, maybe not fun. But long. Definitely long.